Lay a beautiful brick pathway, patio or driveway quickly & easily. Holes allow for complete drainage. Professional looking job every time. 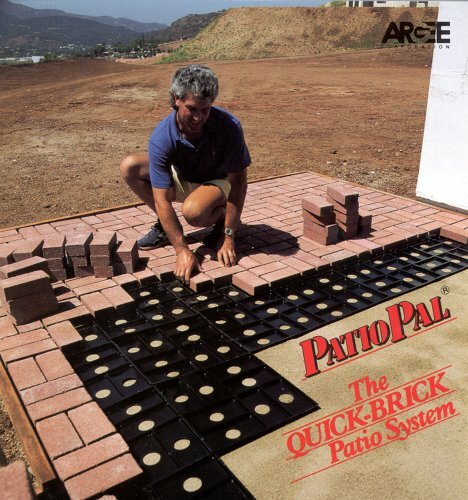 “Patio Pal” Brick Laying Guides - Enables you to lay a beautiful brick pathway, patio and driveway quickly and easily. Assures alignment of brick or block rows. Blocks out any weed growth. Holes allow for complete drainage. 2 “Pals” side by side are ideal for walkways. Professional looking job every time. 10 “Pals” Per Package and covers approximately 20 Sq. Ft. Fits bricks approx. 3-7/8” x 8”.